The plan was to put the soldiers in a war in which their defeat was assured. Maharani Jind Kaur could only look on as her brother and the wazir of the Lahore Durbar, Jawahir Singh, was executed by soldiers of the Khalsa Empire in 1845. The Khalsa Army was no longer under the command of the crown or its appointed commanders. In the years following Maharaja Ranjit Singh’s death in 1839, as the empire went through a period of political instability, the soldiers had found themselves increasingly drawn into the political arena. In quick succession, various claimants to the throne had bribed segments of the army to back their claim. Their numbers had increased drastically since the days of Ranjit Singh. Towards the end of the maharaja’s life, the Khalsa Army was around 80,000-strong. It was an overgrown military machine that had helped Ranjit Singh expand his empire from a small fief to an area that included parts of Kashmir, Afghanistan, Punjab and Bahawalpur. Many claim he would have swept the entire Indian peninsula had he not been hemmed in on all sides by the British. Unlike the Marathas, Ranjit Singh realised that his military might will not withstand a British onslaught. Hence, he chose to sign a peace deal with them rather than go the way of confrontation. 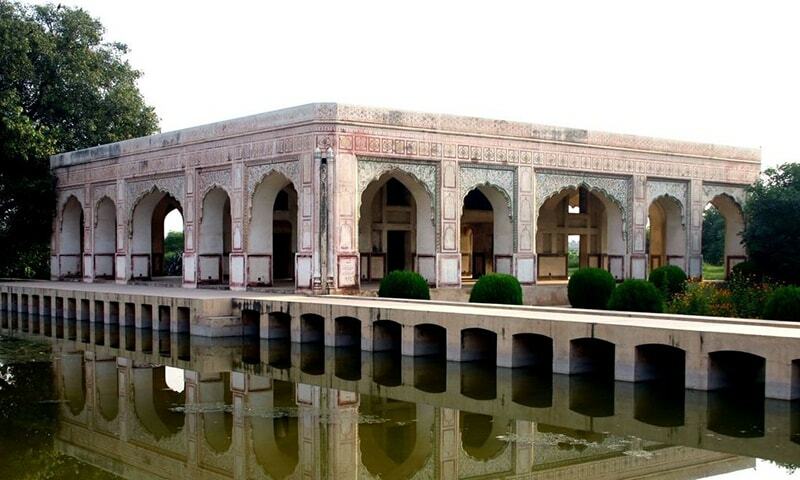 On the eastern bank of the Sutlej river, the British monitored the unfolding of the Lahore Durbar carefully. They had seen the assassination of one maharaja after another. They observed as powerful wazirs found themselves at the mercy of the Khalsa soldiers. At the time of Jawahir Singh’s assassination, the army had expanded to 120,000 soldiers with their salaries increased manifold since the time of Ranjit Singh. But despite their size and the fact that they possessed the latest technology, the British did not think much of the Khalsa Army. Various British officers, in their letters, referred to the army as a mob. The British were of the impression that the increasing political role of the soldiers had rendered them ineffective on the battlefield. Thus, in the years following Ranjit Singh’s death, the British started the process of militarising Punjab. With their growing involvement in politics, the soldiers had developed a bureaucratic mechanism of their own. Instead of exhibiting loyalty to their commanding officers, they reported to panches selected by themselves. These were soldiers appointed from within their ranks to represent the grievances and concerns of the soldiers. The system was modeled on the panchayat system from where the word panches is derived. Given the political turmoil that followed Ranjit Singh’s death, the soldiers took it upon themselves to protect the sanctity of the Khalsa Empire, a glorious empire bequeathed to them by their Sher-e-Punjab. Shortsighted nobles were sabotaging the crown for their own interests with the commanding officer a part of this corrupt elite. And with the grave threat on the eastern frontier in the form of the British, the soldiers started believing they had to take charge to ensure the empire’s survival. The ruling elite also knew they needed the support of the soldiers if they were to secure the throne for themselves. After the freak death of Ranjit Singh’s talented grandson Nau Nihal Singh in 1840, Sher Singh, one of Ranjit Singh’s sons, started vying for the throne, convinced he was the right person for the job. However, in Lahore, Nau Nihal Singh’s mother Chand Kaur had taken over the throne as regent, as she claimed her daughter-in-law was pregnant with Nau Nihal Singh’s son. To weaken the Lahore Durbar, Sher Singh started bribing sections of the army. And in 1841, he besieged the Lahore Fort, capturing the regent and her supporters. The Khalsa Army had already been bought. But even with the rise of Sher Singh, the panches remained an important, independent power house. Maharani Jind Kaur, the youngest wife of Ranjit Singh, also knew where the real power lay when in 1843, after the assassination of Sher Singh, the army declared her six-year-old son Duleep Singh the maharaja. She turned to the army to get back at the wazir, Hira Singh, for a slight. She appealed to the passion of the soldiers, protectors of the Khalsa Empire, to avenge the humiliation the wazir had wrought on their maharani, the wife of Sher-e-Punjab. A decision was made and the panches put Hira Singh to death. The maharani had won her battle. And her brother, Jawahir Singh, took up the post of wazir. But the tide soon turned. This time, the panches wanted to put her brother to death. The justification was another insult, meted out to another family member of the great maharaja – his son Peshura Singh no less. After the ascension of the boy king, Peshura Singh had risen in rebellion against the Lahore Durbar and was put down by the wazir. He was captured, ordered to be brought to Lahore and executed on the way on the orders of Jawahir Singh. The panches would have none of it. How dare a wazir take the life of a scion of Maharaja Ranjit Singh! The panches met and it was decided that Jawahir Singh would be put to death. The maharani pleaded with the soldiers but they had made up their minds. On September 21, 1845, Jawahir Singh was executed outside the walls of the Lahore Fort. A new wazir, Lal Singh, was appointed. He was rumoured to be the lover of the regent. But it was the soldiers who held the true power. As for the maharani, still reeling from the loss of her brother, she had other plans. She decided, along with Lal Singh and the head of the army Tej Singh, that it was time to cut the power of the soldiers. An anti-British frenzy, which had been part of rhetoric for a few years given their rising military presence on the eastern front, was unleashed from the top, while representatives of the Lahore Durbar started reaching out to British officers across the Sutlej, expressing their fidelity. On December 11, 1845, urged on by their commanders, the soldiers crossed the Sutlej and thus began the First Anglo-Sikh War. A few months later in March, the Treaty of Lahore was signed, assuring the British over-lordship over the affairs of the Lahore Durbar. The maharani and her entourage had achieved their purpose of reducing the might of the soldiers but a new setup brought with itself a whole new set of problems. In April of 1848, a little incident in Multan provided the British with an excuse to begin the Second Anglo-Sikh War, paving the way for the annexation of the Khalsa Empire on March 30, 1849. Cover photo and thumbnail from Wikipedia. This piece was first published on Scroll and has been reproduced with permission. Flashman and the mountain of light by George MacDonald Fraser . A very informative article. Politicized military leads to a weak nation that others can prey upon. From what I understand even in the 2nd Anglo Sikh war some sikh generals removed their soldiers from the flanks after getting paid off by the English exposing the Khalsa army and lead to it's eventual defeat. Great story. We need more such authentic writers like Haroon Khalid to record the fascinating histories of South Asia. Even in India unfortunately, much of the focus in history lessons in schools continues to be the world-view as seen through Western eyes. So we end up reading more about the Greek civilization than about South Asian history. And that is not good. Amazing analysis!! And goes on to prove the weakness of tbe subcontinent lies not in power of the invaders bjt tbe greed of the elite. @Indian There's nothing wrong with greed. It's only one's self interest. What's wrong is betraying after promising to support a cause. Yet another evidence that women should never be head of a household, an organization, and especially a nation. Being physically and emotionally insecure creatures, their loyalties sway and judgements cloud quickly. Hence, today in modern societies we witness extraordinary emphasis on "women's lib" and so-called "gender equality" by the insidious powers wherever and whenever they endeavor to destabilize a nation. What a fantastic article! This is what happens when the army gets oversized and becomes a state in itself - a good reminder to us all. All the wars and the killings were done for the few in power and their soldiers (the so called humans) are nothing but a narrow minded living robots with an authority to kill without any justification, and worst of it still continue in the name of patriotism. Well researched, well written and many lessons to be drawn. @Faisal " Politicized military leads to a weak nation that others can prey upon." How true. We need to ensure that we, the people, clip the wings of this military-industrial complex. Enough is enough, otherwise the end result is almost preordained. I would like to congratulate Mr. Khalid on his brilliant essay. The British "won" erstwhile India,( or what is was ..... ) , not only by their advanced warfare, their money, their management skills and technology ... but also because they were united in their integrity, patriotism, discipline and leadership. Their oppositions were fragmented, overly ambitious and totally disorganized. They were corrupt and opportunistic and sought out the military to achieve their internal political struggles. Thus they had no vision and were doomed to fail. Unfortunately, even today, the leaders of the various political factions in the Pakistan government exhibit similar modes of behavior - which gives a pause for thought..... They are not exactly honest or have a sense of integrity, and the army stands at their backs, occupying the vacuum.... While there are no foreign invaders, in the wings, .... History often repeats itself. Your writing is appreciated and your aim to discover realities regarding minorities status in Pakistan is exalted. Very Interesting. Again the same sad story of the subcontinent. we are defeated not by invading armies but by traitors. We all know how the British finally annexed the Sikh empire after two wars between 1843 and 1848 and that the incumbent king Duleep Singh was sent to England where the queen raised him as her own son. Jind Kaur was put under house arrest , from where she escaped to Kathmandu. The rest is all well documented. It just shows. No border is ever permanent. Never was and never will be. If it's not foreign powers then it's the internal forces that rip a Federation or an empire or a super power apart. Still I don't believe that once upon a time, Sikhs had a country in hands. the last maharaja duleep singh`s daughter is burried in lahore!does anyone know where exectly she is burried? sikh empire the who ruled over present day pakistan should reclaim their territory.. I had little knowledge of this. You made it an interesting read. Much appreciated, thank you. You never fail to unearth untold stories. Well done, Haroon. 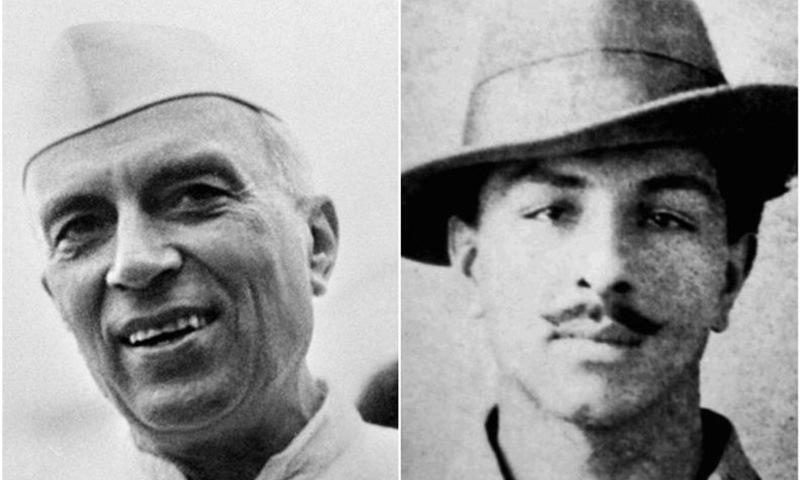 Historical evidence prove that Ranjith Singh was an extraordinary leader and warrior (side note: He wore the Kohinoor diamond), but he failed to groom a worthy successor. Subcontinent history is ripe with stories of how incapable successors ruined the established empires. Every Army is part of politics and plays ! , the difference is clear between a professional well disciplined Army and a Mob. A professional Army e.g . the British Army played for the country and a Mob played for personal gains and greed ! . The Maharani though she payed well for her personal revenge & Takat-e- Lahore (not for her Nation) , The British officers for Glory Great Britain ! . Amazing journalism can only come from dawn. The bravest of sikhs still cling to the memoirs of thier ancestors.. with gods graxe sikhs will rise again. Very interesting, how efforts to undermine own military resulted in complete destruction of Lahore Durbar. Personal vengeance whose price was paid by complete realm. Last two paragraphs give the crux. Very well articulated. @Dervaish Khan , beta there really was no country so to speak anyway in north-western Hind. The Panjab and northern areas were contolled by Sikh Misls after the expulsion of the Mughals. Ranjeet Singh by his military genius and cunning managed to unite the various Sikh Misls into a Khalsa state comprising what is most of Pakistan, Kashmir and East Panjab today. Whilst many Sikh Historians disagree apart from my friend the late Khuswant Singh, but by uniting the powerful Sikh Misls, Ranjeet Singh of the Sukarcharias actually weakened the entire Sikh control of the Panjab and Northern areas because suddenly all power was in the hands of one man and not spread out amongst the Panjabi Sardars of the Misls. The british and the Afghans knew this and Ranjeet's empire was already defeated even before the first British bullet was fired. Prof. Najma Hisham. @taimur Were they? In fighting eliminated them. History repeats itself in modern day Punjab (aka Pakistan). 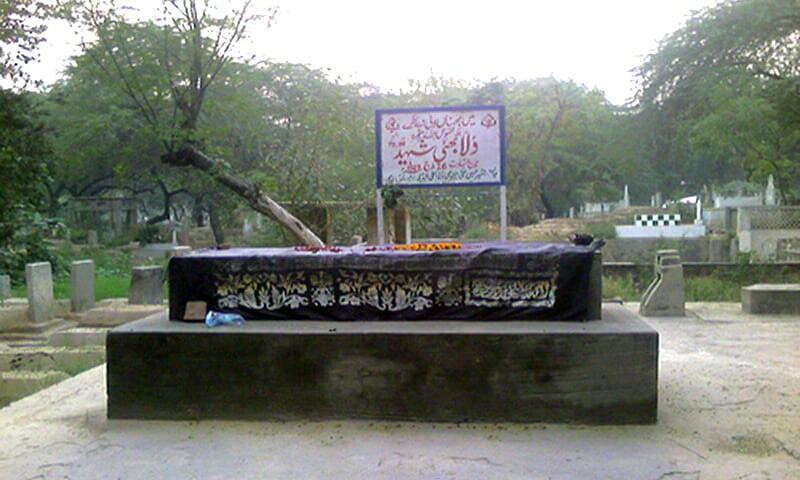 @mahesh passa Two of his daughters are buried in Lahore. I have visited their graves, I do not know the area, this could be Christian grave yard as both were married to English men. Ranjit Singh was a genuine 'Sher-e-Punjab', ironically now the title is claimed by a businessman of Jatti Umra. Sikhs only rose to power due to destabilized central authority in Dehli and continous invasions of Afghans plundering the hazara and punjab areas. Slowly they gained power on the expense of mughals. Later on when they ruled completely and without any external power to fight they behaved in the same way as people in this part of world always do. They started to fight for petty things and collapsed in few years. British conquering of subcontinent is not related to its weapons or their superior martial race. People here accepted them in the span of 100 years from 1754 to 1857 without much known fighting with them. Although significant fighting occurred between them and one foreign invasion from iran which proved to be a catalyst for early british control. Keep writing. We all should learn for history and make the future good for future generations. An excellent article. Bring forward the story by a couple of centuries and the scenario becomes totally contemporary. What man learns from history is that he does not learn from history. Congratulations to the author for writing such an intereting piece. “the soldiers had found themselves increasingly drawn into the political arena.” Sounds familiar to me. Excellent write-up! Learnt something!You can see some parallels to today's dynamic between India, China & Pakistan - Pakistan aligning with China instead of working with India - ultimately being detrimental to South Asia. We never learn from History! Under the great Mughals all these states were ruled magnificently and firmly. Ranjit Sings Punjab was conquered territory and hence unfolded as brutal rule collapsed as it inevitably does. Great article with sound morale. A politicized military is good for nothing - it cannot run this country and it cannot be true to its raison d’être. The British were very observant and their officers reports corroborate that.